Become a Pottery Store Partner | Believe Big - Face It. Fight It. Overcome It. Welcome and thank you for your interest in our Believe Mug program. Here you will find all the steps and printable materials needed to become a Believe Big pottery studio partner. Order the basic 12 oz. mug from your vendor or from Chesapeake Ceramics (SKU#CCX995). We use the simple 12 oz. mug as it is flexible for any gender and age group and it also fits nicely with our packaging materials. Chesapeake Ceramics has designed a special Believe Mug with “BelieveBig.org” imprinted on the bottom (SKU# CCX3132). This allows patients to remember our website and easiily access free resources! Chesapeake also has a “Believe” silk screen (SKU# DSSBelieve) created for fun painting and to avoid any accidental misspellings! Determine where you’d like your Believe Mugs to be donated. Most of the existing partner studios choose to donate their mugs to a hospital, cancer center or any holistic medicine center near them that has meaning to someone in their family, one of their employees, a friend, or a regular customer. 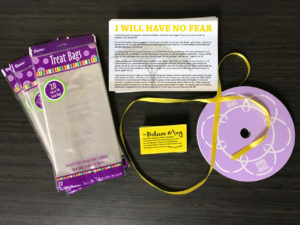 Contact gina@believebig.org for the sample “connection email” to share information with them and the FAQ document on the mugs. Many treatment centers across the country are offering the mugs to their oncology patients and we’re thrilled that you’ll be part of this effort of hope! 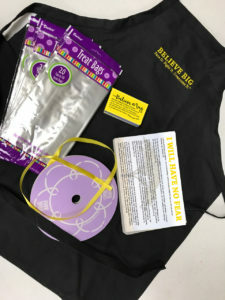 Order the Believe Mug packaging supplies from this page. When your supplies arrive, hang your two-sided posters, place a sample Believe Mug on display (we can send you a few if you need them! just let us know when you order supplies or contact gina@believebig.org, and encourage local groups or customers to paint the mugs. Contact gina@believebig.org for lots of ideas on promoting the program. Please let us know where your mugs will be donated! We’d love to see pictures of your mugs being dropped off to share with our supporters and with your fellow pottery studio owners! Contact gina@believebig.org for any questions and thanks for believing big with us and bringing hope, help & healing to cancer patients! Thank you for your generosity, your time, and your willingness to help us bring hope, help, and healing to those who are battling cancer. By ordering the packaging supplies, your studio receives a tax-deductible donation benefit and Believe Big can continue to expand our programs.